Miller Energy is a Manufacturer's Representative and Distributor of Industrial Instrumentation and Process Control Equipment. Since 1958, Miller been committed to exceeding our customers expectations by providing an unparalleled level of customer service and local technical support. Miller Energy maintains two office locations in NJ and PA. The South Plainfield, NJ operation services the areas of Northern NJ, New York, and Fairfield County Connecticut and serves as our corporate headquarters. The Exton PA office serves the areas of Southern NJ, Eastern PA, Delaware and Maryland. Modern industrial process control has ever increasing demands for data acquisition. The ability to rapidly gather and process measurements into control and management decisions and reports is essential to efficiency, safety, and profitability. 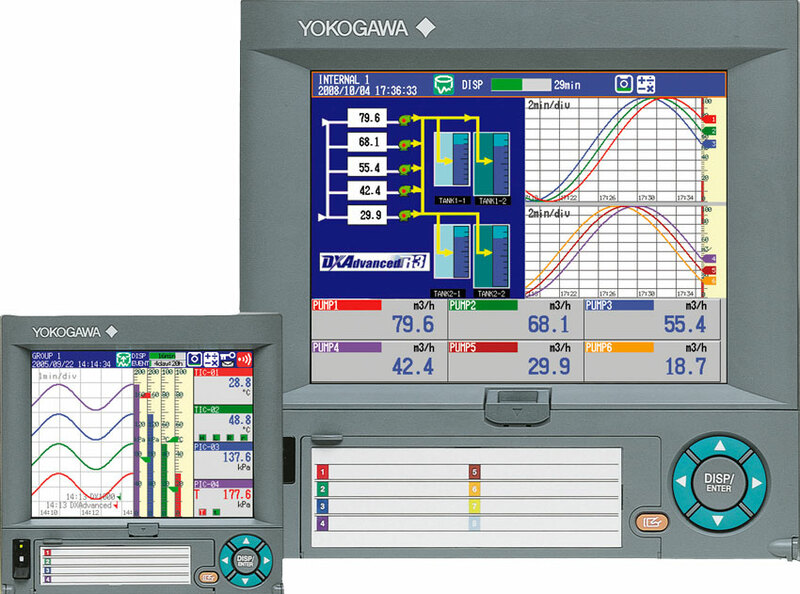 Yokogawa has been a leading manufacturer in the data acquisition sphere for decades, and has made some changes in its product line to maintain its leadership position. The DX2000 Daqstation is a mature product with a solid portfolio of field installations. It can accommodate display, recording, networking, and storage of data on up to 48 input channels. Input types include DC voltage, contact signal, RTD, and thermocouple. Ethernet connection enables remote access via a website and the unit can provide email alerts. There are numerous effective and user-friendly features included with the DX2000, which incorporates Yokogawa's decades of experience with recording and data acquisition. Whatever your data acquisition needs and challenges, the best solutions will result from combing your process expertise with the knowledge of a product specialist. Reach out to them and get results. Data Acquisition Equipment for Automation and Process Control from Miller Energy, Inc. Early in my professional career, I was a sales rep calling upon building engineers, maintenance technicians, and lots of HVAC related people. One encounter I had, many years ago, has always stayed with me. I was prattling on to a building engineer about whatever gear I was trying to promote for his chilled water system, and I must have really missed the mark. The engineer, clearly a man of superior experience to mine, stopped me in mid sentence. "You know what flows through these pipes? ", he said, referring to the chilled water system. In my defense, I was very young and inexperienced at the time, but I did answer "Chilled water". My building engineer friend bellowed out, "Wrong....money flows through those pipes". That single encounter had a lasting impact upon how I viewed HVAC systems. Energy costs for heating or cooling a building can be the single largest line item on the cash outflow summary for an operation. Much effort and expense is put into efforts to maximize energy efficiency and conservation. Monitoring of usage patterns related to the chilled or hot water system can provide useful information for developing new conservation strategies and verifying the impact of any steps taken to reduce consumption. 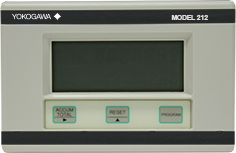 The Yokogawa Model 212 is an affordable and easy to install and use device that will provide a stream of usage data. 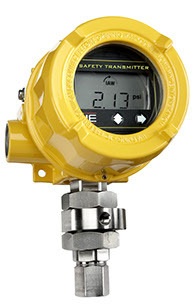 A key feature of the Model 212 is its ability to interface with a broad range of flowmeter devices, including vortex and magnetic flowmeters with pulse outputs, positive displacement and inferential water meters, turbine and paddlewheel flowmeters. This flexibility allows the user to select a companion flowmeter that will suit their accuracy, budget, and operational requirements. The Heat Calculator has four modes of operation to totalize the usage patterns in a manner that best suits the needs of the user. Additionally, the unit can interface with a building management system and includes internal data logging capabilities. Other features are described in the product data sheet I have included below. Even small chilled and hot water systems can benefit from usage data derived from a monitoring system such as the Yokogawa Model 212. Share your system challenges with a product specialist. Combining your process and system knowledge with their product application expertise will produce effective solutions. Heat Calculator for Chilled and Hot Water Systems from Miller Energy, Inc.